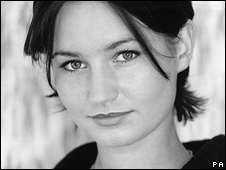 Children's TV actress Natasha Collins died after taking a "very significant" amount of cocaine, an inquest heard. 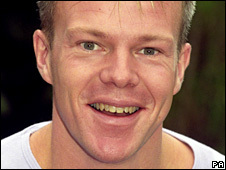 Miss Collins, 31, the fiancee of TV presenter Mark Speight, was found dead in the bath at their flat in St John's Wood, north-west London, on 3 January. She had taken cocaine and sleeping tablets at the time, and hot water burns covered 60% of her body, Westminster Coroner's Court heard. Consultant pathologist Professor Sebastian Lucas gave the cause of death as cocaine toxicity and immersion in hot water. Mr Speight, who presented BBC children's show SMart, met Miss Collins while filming another children's show, See It Saw It. The inquest heard he called the emergency services when he woke on the Thursday afternoon to discover his fiancee dead in the bath. He told police the couple had been "partying" at home on their own and had taken cocaine and sleeping pills as well as drinking wine and vodka. Mr Speight was initially arrested on suspicion of murder and supplying Class A drugs. Six days later police said he was no longer a murder suspect, and last month police said they would take no further action against him. Prof Lucas told the inquest that "high" levels of cocaine, within the range at which the drug can be fatal, were found in Miss Collins' blood stream. Burns over Miss Collins' body and face, including her tongue, were consistent with being immersed in very hot water, he added. Coroner Dr Paul Knapman said the evidence pointed to the presenter collapsing in the bath. "We have heard that, within the privacy of their flat, they had embarked on adventurous behaviour, ignoring the risks," said Dr Knapman. "It is more likely than not that she had some heart problem when in the bath that caused her to lose consciousness." After the verdict, Mr Speight and Miss Collins' mother, Carmen, issued a joint statement which described Natasha as "a loving daughter, fiancee, sister and friend". It added: "We are devastated that her life was cut short and we miss her deeply. She will always remain in our hearts."